The Glass Touch series of user terminals features an elegant design with a glass surface as well as touch-sensitive keys and wheel for user interaction. 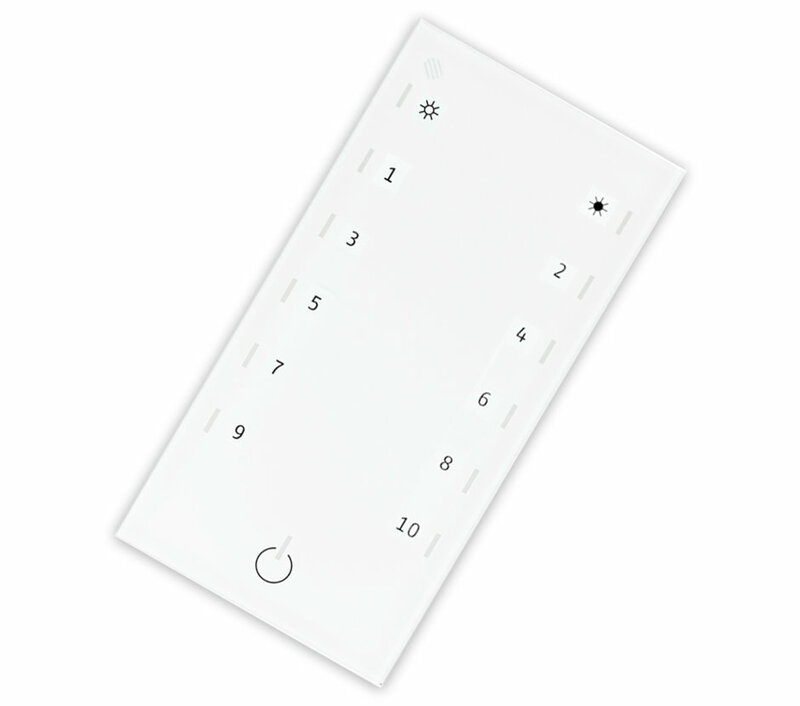 Designed to work with the SYMPL e:bus Node or Butler XT2 via the e:bus protocol, the Glass Touch keys and wheel are easily customized using the e:cue software to perform any function according to project requirements. 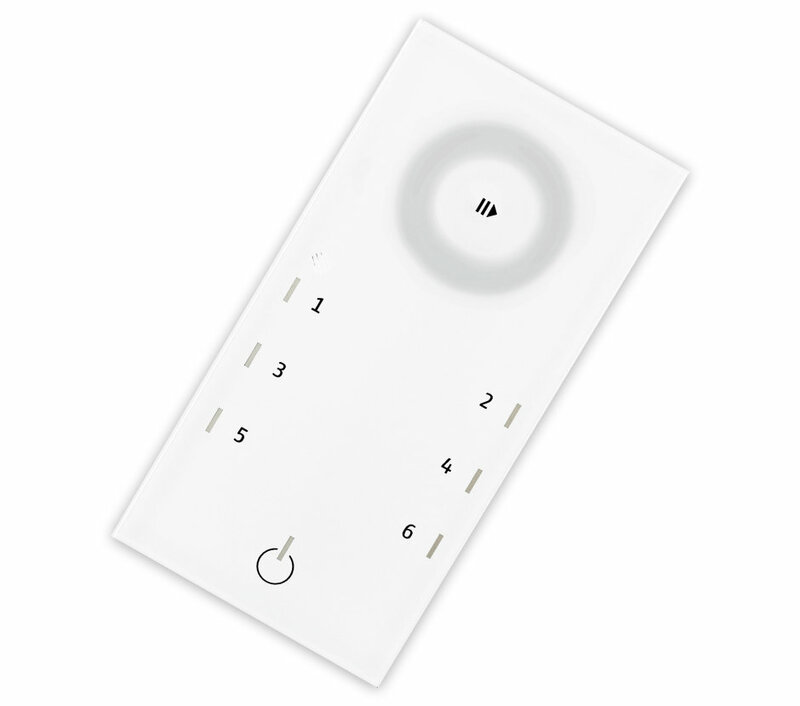 Pleasing to the eye, these devices are the perfect solution for control in high-end lighting applications such as retail, architectural, hospitality, and residential projects. 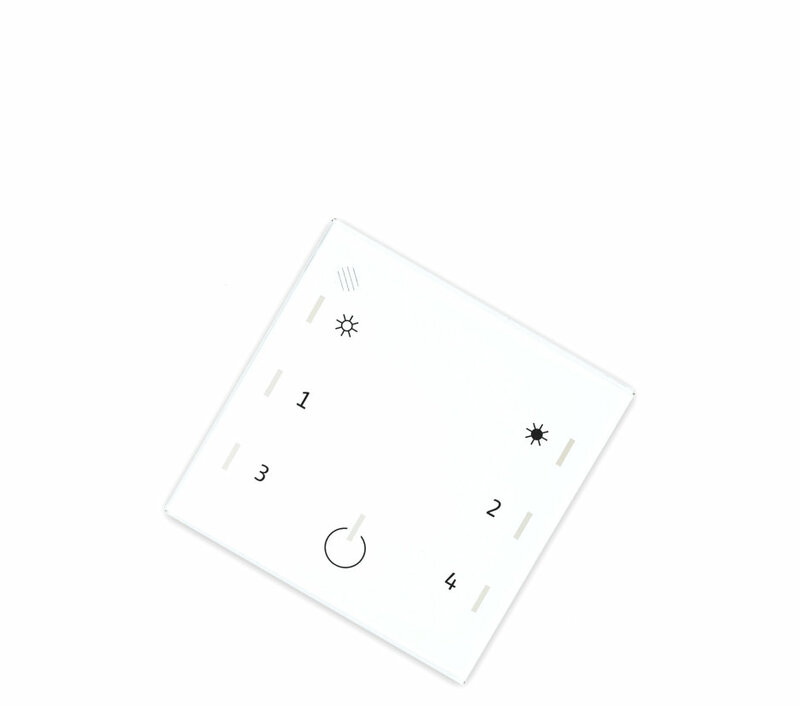 Glass Touches are wall mountable, compatible with standard flush type boxes, and up to eight units can be connected to a single Butler XT2, for added flexibility during installation.